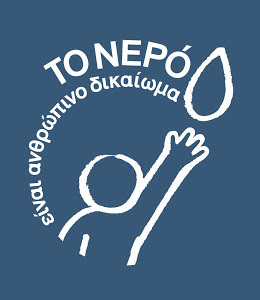 Since March 2013 a new initiative “SOSte to nero” (Save the water and/or help for water, http://sostetonero.blogspo.com) is acting in the greater are of Thessaloniki. Many local citizens’ initiatives, scientific organizations, political and ecological groups, workers unions, municipalities and independent citizens are forming the movement “SOSte to nero”. 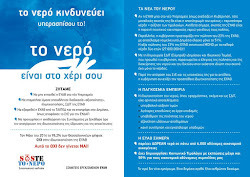 “SOSte to nero” is a wide coalition against privatization of water and is fitting to avoid the selling of EYATH (Thessaloniki Water Supply & Sewerage SA) and to exclude EYATH from TAIPED (HRADF, Hellenic Republic Asset Development Fund SA). “SOS te to nero” called the municipalities of the greater Thessaloniki area to organize local referendums, in order the people of Thessaloniki express their own will, about the selling of EYATH. The process to the local referendums will give the opportunity for the citizens of Thessaloniki to be informed about the failure of privatization of water worldwide. Since these days, all the municipalities of the greater Thessaloniki area have decided to organize local referendums. 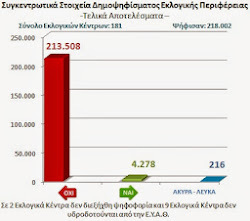 But, although the greek low is allowing such local referendums, the necessary presidential act is not yet published. The present effort of the “SOSte to nero” is to “press” local municipalities to organize the referendum, without waiting the presidential act and already some of the mayors (among them the Mayor of Thessaloniki, the central municipality) have announced their intent to organize the referendum. On the other hand, TAIPED is processing to the selling of EYATP. After the end of the first step of the privatization process, where 4 investment groups expressed their interest to acquire a 51% stake in the share capital of EYATH, two groups (Suez Environment-AKTOR-TERNA and Mekorot-Αrison)are continuing, awaiting the call of TAIPED to submit their offers. At the end of July 2013, more than 130 organizations (national, European and internationals) and Members of the European Parliament addressed to the future buyers of EYATH and call them to withdraw their offers. Some helps in the struggle against privatization of water are the recent statements: (a) of the Commissioner M. Barnier, after the success of initiative “right2water”, that “…the best solution now appears to remove water from the scope of the concessions directive”, and (b) of the Commissioner O. Rehn that “The Commission recognises that water is a public good which is vital to citizens and that the management of water resources is a matter for MS, and therefore has a neutral position on the public or private ownership of water resources”. These statements are not stopping the Greek Government to proceed for water privatization and only the people’s resistance will cancel their plans. The effort against privatization of water will continue and “SOSte to nero” is fatting to raise the matter as a main one which is crucial not only for the public economic interest, but also as a matter of democracy. When water supply and sewerage disposal are, privatized and the common good, the water, is turn into profit and the citizens instead of having access to it and participate to the management of water, are becoming clients, then the people’s power is degraded and the democracy is withdrawn. In “SOSte to nero” we say “We are the majority, but we have to show it”.